Homemade Chocolate Frosting - What's In The Pan? Homemade chocolate frosting makes a delicious frosting recipe for birthday cakes, chocolate cupcakes, chocolate chip cookies, and so many more sweet treats! It’s rich and creamy, and is super easy to whip up. It pipes beautifully, and is the perfect way to finish off all of your birthday cupcakes! This simple recipe will become a favorite! 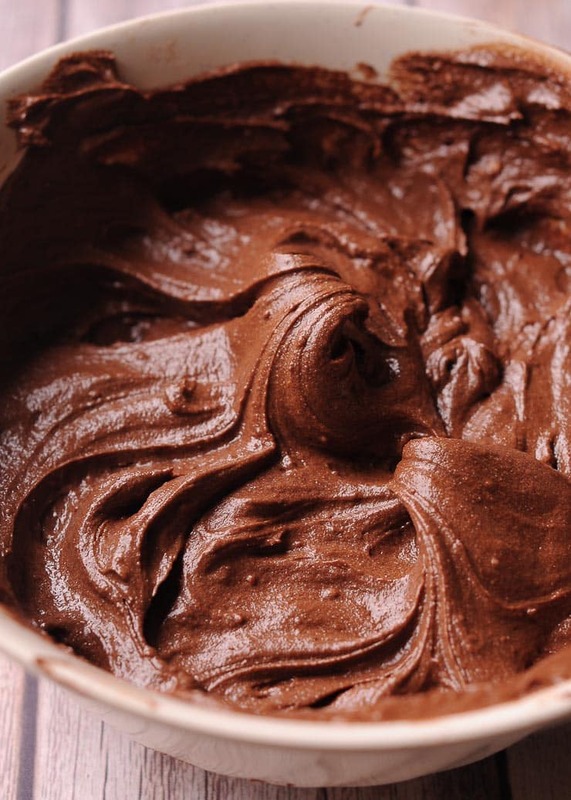 Why make your own chocolate frosting? 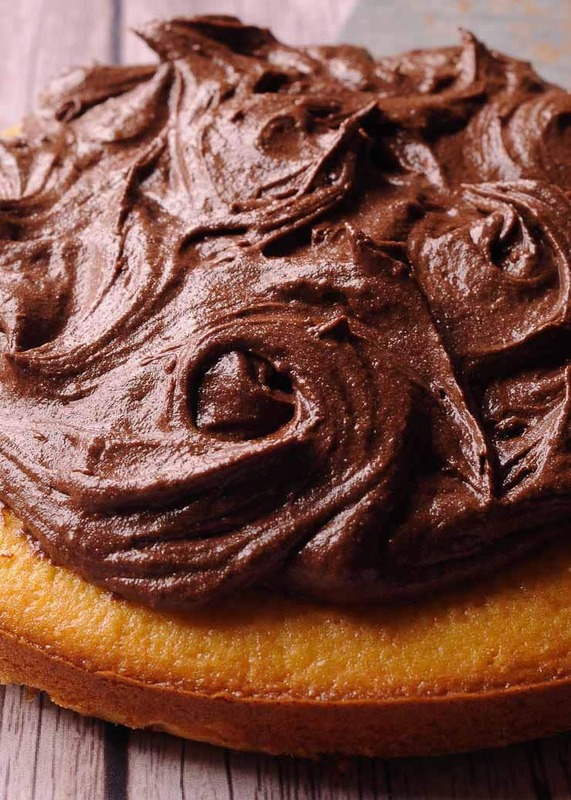 First of all, there’s just something about rich and buttery chocolate frosting that is perfect when paired with a vanilla or dark chocolate cake. It’s smooth, creamy and not-too-dark. You won’t waste your ingredients by knowing exactly how much frosting this recipe produces. It will frost an 8 or 9 inch layer cake, or 24 cupcakes. No more unhealthy store bought frosting! I gave up on canned frosting a while ago because of many questionable ingredients and oils used there instead of real butter. I felt so guilty feeding my child those questionable ingredients. 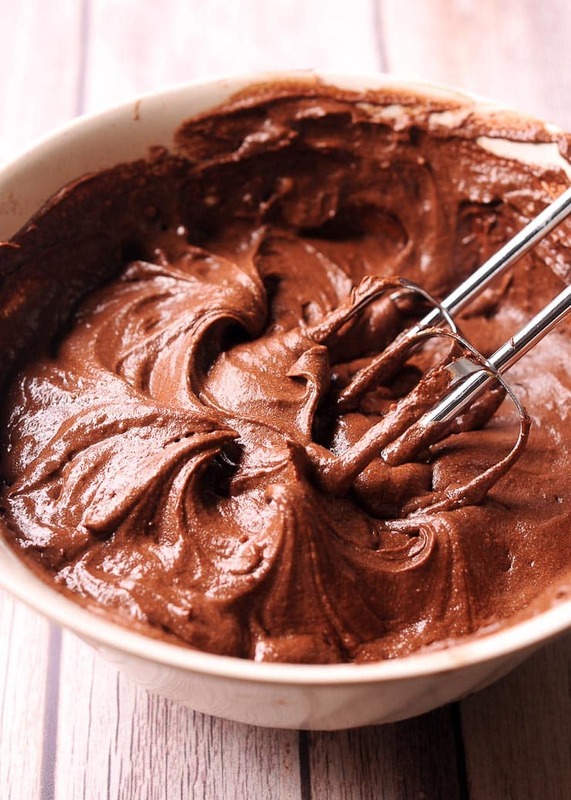 Making this chocolate frosting puts you in control of what you are feeding your family! Butter is healthy, nutritious and is such a better alternative to all those unhealthy oils in the supermarket frostings! But when I don’t feel like making cupcakes, I simply like to spread a thin layer on a cookie or a graham cracker. And what a mighty delicious sweet treat it is! 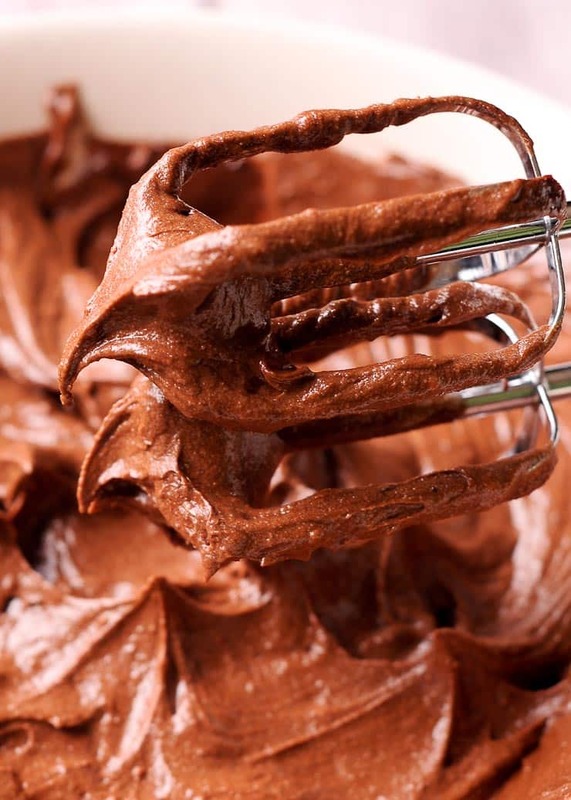 This is my go-to frosting recipe, and in my opinion, is the BEST Chocolate Frosting ever! I’ve been making it for years so I’m surprised I haven’t shared it before! Make sure to melt your butter on the stove and let it harden as it cools. Alternatively, you can also soften your butter at room temperature by taking it out of the fridge the night before. Should I use salted butter? Either salted or unsalted butter will do. I used unsalted butter, but had to add 1/2 teaspoon of salt to enhance the chocolate flavor. 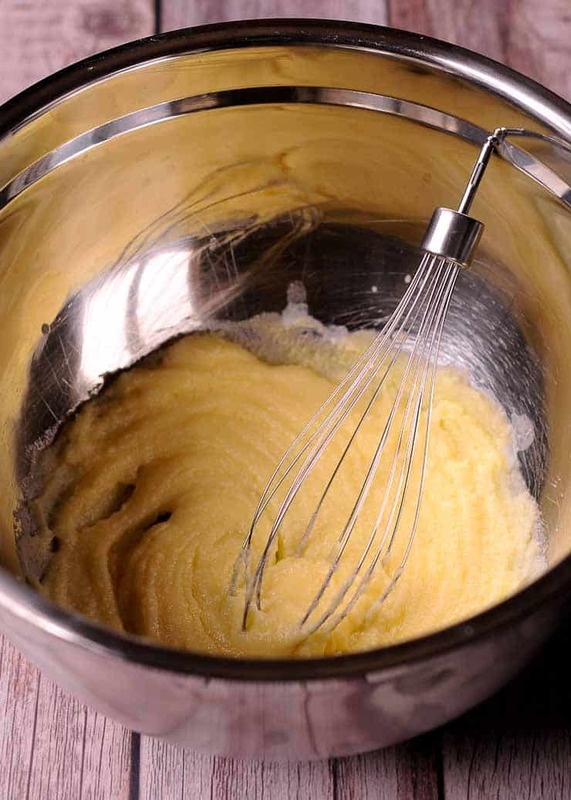 If you use unsalted butter in your frosting recipe, do not add any salt. What kind of cocoa powder should I use? 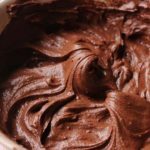 I used unsweetened cocoa powder in this chocolate frosting recipe. 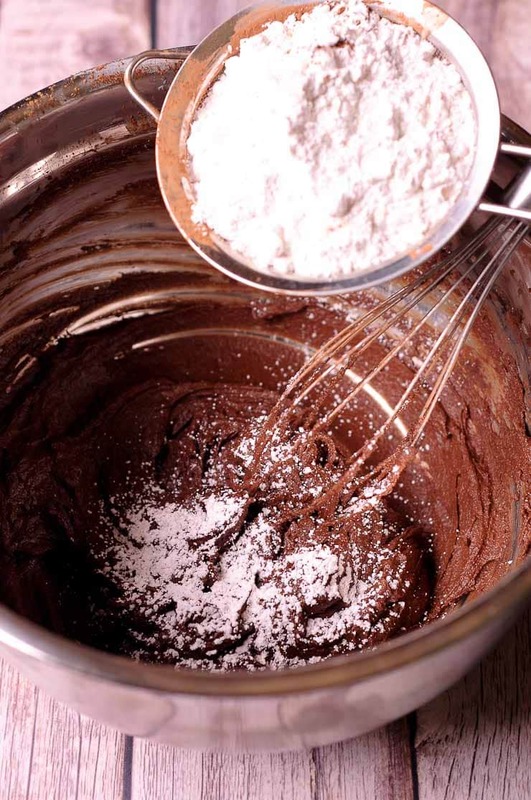 There are many recipes that add 5 cups and even 8 cups of powdered sugar to the homemade chocolate frosting recipe. I think that’s going way overboard on your sugar cravings. I want to spare my pancreas and liver. So I can assure you that successfully made this recipe with 3 cups of powdered sugar and it was perfect! I also used 2 cups once and did not see any difference in texture and appearance. Less sugar here is more! Store in the airtight container at room temperature for up to 3 days. Or, store your homemade chocolate frosting in the refrigerator for up to 7 days. You can also freeze the frosting for up to a month. Our family and friends now use it as their ‘favorite frosting!’ I just wanted to share it with my chocolate friends everywhere! Let’s do it! First we will soften our butter and whip it slightly. Next, let’s add milk, vanilla, salt (if using unsalted butter) and cocoa powder. 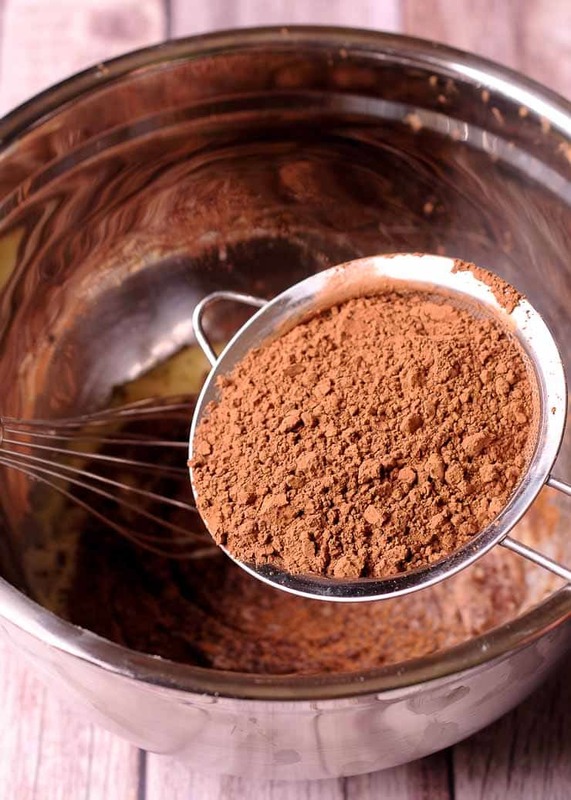 Make sure to use a sifter when adding cocoa to avoid clumps. Lastly, add powdered sugar by sifting it into the bowl. You are minutes away from the best chocolate frosting recipe! Smooth, creamy and rich frosting for birthday cupcakes or a cake! Soften butter by either melting it and cooling it until slightly hardened or taking it out of the fridge the night before. Add butter to a large bowl and mix with milk, vanilla and salt. Next add cocoa powder by sifting it and whip with a whisk or electric mixer together until smooth. Next stir in powdered sugar by sifting it into the mixture. Scrape sides and whip again until light, fluffy and smooth, 1-2 minutes. This recipe frosts one 9 or 8 inch cake or 24 cupcakes. Store airtight at room temperature for up to 3 days, or store airtight in the refrigerator for up to 7 days, or store airtight in the freezer for up to a month.